Ingenious is an abstract placement game from internationally-renowned game designer Reiner Knizia. Players place colored tiles on the hexagonal board, scoring points, blocking opponents’ tile placement, and trying to protect themselves from being blocked by their opponents. 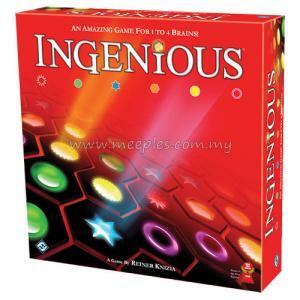 Marvelously elegant and compulsively replayable, Ingenious is an excellent introduction to German-style abstract board games. It’s ingeniously simple, and simply ingenious! 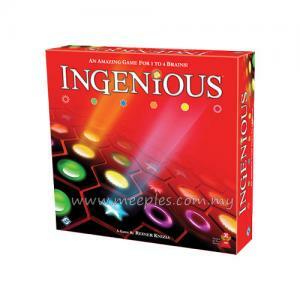 Ingenious is suitable for 1 to 4 players.